Organic maca powder is extracted from the root of the mighty maca – a tuber crop that is native to Peru, where it is known as the 'aphrodisiac of the Andes’ and was once considered so valuable that it even served as a means of payment and was used to settle taxes. Brimming with beneficial vitamins (such as vitamins B1, B2, C, E), minerals, fatty acids, enzymes and every essential amino acid, organic maca powder is an incredibly versatile superfood that can be stirred directly into all of your favourite shakes, smoothies and protein drinks or used as an integral ingredient in a selection of indulgent raw chocolate and dessert recipes. 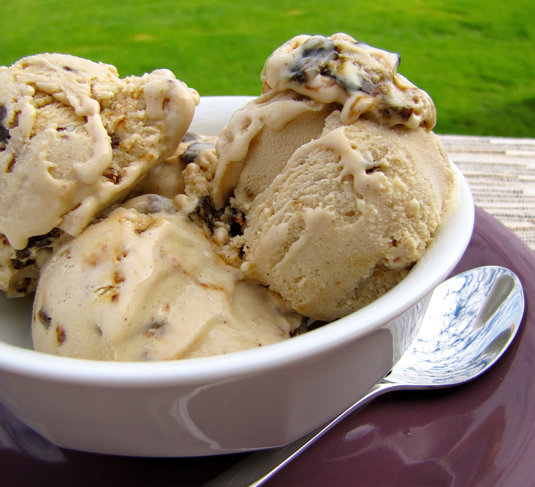 Happily this yummy raw maca ice cream can be made in a jiffy! Simply place all of the above ingredients into your blender and blitz until nice and smooth. Empty the ice cream into a container and then place in the freezer to set. Once set, remove from the freezer and top of with some crunchy organic cacao nibs and a little drizzle of raw honey before serving – organic maca powder is particularly delicious when mixed with raw cacao superfood products, as this special combination really brings out the best in both flavours.